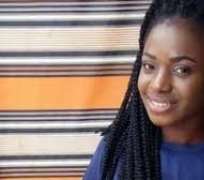 The alleged killers of the Delta State University (DELSU) 300 level undergraduate of Mass Communication, Miss Elozino Joshualia Ogege, have been remanded in prison custody. Their remand followed a motion filed by the complainant, F.N. Odunna, seeking an order to remand the five suspects who were brought before a Magistrate Court, presided over by Magistrate Helen Okonkwo. Those remanded include Enaike Onoriode, 23 years, Nwosisi Benedict Uche, 34 years, Macaulay Desmond Oghenemaro, 32 years, Ojokojo Robinson Obajero, the suspected native doctor, 63 years and Emese Odiri, 16 years who was remanded in Sapele Remand Home.